Free Excel Budget Template: Make 2019 Your Best Year Yet! Looking for a Free Excel Budget Template? Budgeting is a dirty word. We panic. Then we freeze. We get stuck in analysis paralysis. It’s scary! We foolishly believe we’re better off not knowing the state of our finances or that it’s somehow more stressful dealing with it than ignoring it. Unfortunately learning how to make a monthly budget isn’t something typically taught in school. The budgeting process steps weren’t taught to me by my parents. At best I learned how to balance a checkbook. For those of you under 40, a checkbook was an ancient paper artifact used to issue payment when cash became uncool. 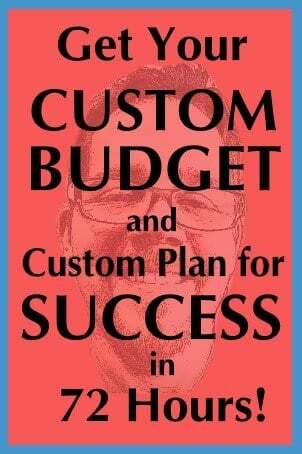 In this post, I’m reviewing the key steps a successful budget needs to work. But I’m also giving you a copy of my free excel budget template which you can download below. Budgeting just takes a little focus, a little discipline, and communication with your spouse or partner. Like anything worth doing, it will feel a little uncomfortable at first. It will be a little challenging. You may feel like giving up. BUT once you push through and stick with it, after a month or two the habit of budgeting will start to feel natural. This new habit will take the place of your previous spending habits. 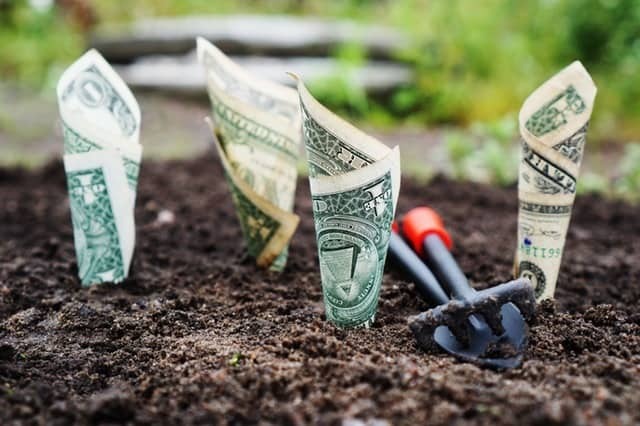 My family first learned the budgeting process steps after my wife started listening to renowned personal finance guru Dave Ramsey on the radio 8 years ago when we lived in Dallas. That started our personal journey out of debt and we began to budget, plan and save for our future. As John Maxwell says, “a budget is you telling your money where to go instead of wondering where it went”. 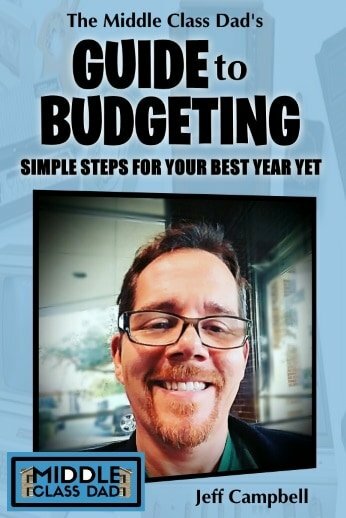 The budgeting process steps are, more specifically, you and your spouse talking about and agreeing, IN ADVANCE, how you want to spend your next month’s paycheck(s). A funny thing happens when you stop just blindly charging on a credit card. Instead of making credit card companies rich, you start to get intentional with YOUR money. You start to put it where it brings the most value to your family. Your family begins to start to evaluate purchases more carefully. As a result of using a free Excel budget template, YOU WILL SPEND LESS because you’re now paying attention to how much of your hard earned money was being wasted by not noticing what it was being spent on. Even if you don’t use credit cards (hooray; you’re already 1 step ahead of most) many folks still just blindly use their debit card. Then they occasionally overdraw their bank account. The bank is all too happy to let those charges go through and then charge you an overdraft fee for the “convenience” of letting your spending run wild. Sometimes those overdraft fees are $25 (per incident) or higher!! Get a few overdraft charges per month and you could literally be blowing hundreds of dollars a year! All because you don’t use some good budgeting process steps. You haven’t yet learned how to make a monthly budget. If spending like you’re in Congress sounds familiar, I highly recommend you take a moment and check out my previous post about how to Stop Living Paycheck to Paycheck. It’s only a 5-minute read and I walk you through, step by step, how to better manage your money! In our house, we pay recurring bills online through our credit union’s online payment system. Almost everything else we pay in cash using Dave Ramsey’s envelope system. In this system, you take out the cash on payday and divide it up into the various categories on envelopes (groceries, gas, spending, etc). The categories and amounts you and your spouse agree to in advance. Then when the money’s gone, it’s gone until next payday. Learning how to make a monthly budget teaches you very quickly to watch how you spend your money. If you don’t have a spouse or significant other in some ways that’s easier. You don’t have to come to terms with anyone else’s opinion. The downside is there also isn’t anyone holding you accountable. So just know you may need to be extra disciplined. If you know the envelope system is right for you, Dave has a cheap starter envelope system on Amazon Prime for under 20 bucks! 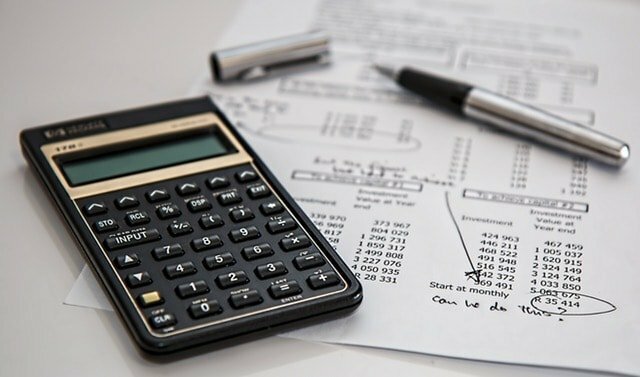 How the budgeting process steps can give your family incredible results! Your family WILL benefit when you download and use my free excel budget template. As I already covered, you can eliminate bank fees and get rid of debt by living on a budget. At first, your family may question WHY you are budgeting. They may wonder why you aren’t going out to eat in restaurants 5 times per week. They might balk at not getting what they want every time they ask. These are good lessons. The world isn’t kind to people who feel entitled to everything. It just isn’t. Learning the value of a dollar and the value of working for what we want are lost arts. Let’s bring them back! Once you learn the budgeting process steps and get started making a budget, then you’ll definitely want to check out my post about Budget Planner Tips That will help you take your budget and your family’s financial future to the next level! Want an easy and cheap way to spend less? The app Trim automatically looks at your monthly bills & spending and then cross-checks that with savings programs almost all vendors have. When they match up, you save. They’ll even handle the hassle of canceling memberships you no longer want or renegotiate bills for you like insurance and cable bills. If you delay on getting my (or anyone’s) free excel budget template you’re putting your family’s future at risk. Not budgeting is the financial equivalent of just throwing darts at a dartboard with a blindfold on hoping you hit the target. Sure you may occasionally get lucky, but you’ll put a lot of holes in the wall in the process. Having no budget means continuing to spend money based on your emotions. When we shop for groceries when we’re hungry, we buy more. When we have a fight with our spouse, that new TV or clothes store is awfully tempting. 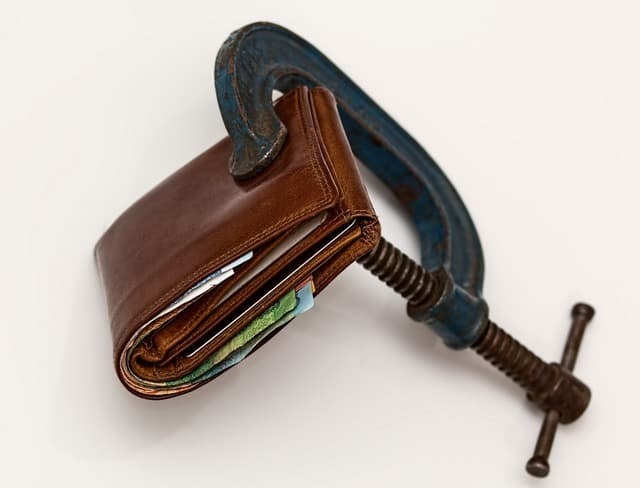 A lack of a budget could lead to bankruptcy! At our country’s all-time high a little over 10 years ago, according to Debt.org, 1 in every 55 households in the US filed for bankruptcy. Think about that for a minute! That is about 2 million families! It’s a safe bet those families don’t use a free excel budget template. And while I know people who make poor choices, file, continue to make poor choices and file again, that’s not how you want to live your life. For starters, every time you file for bankruptcy you’re destroying your credit for 7-10 years. 15 years ago, credit scores weren’t looked at as often as they are today. If you struggle with bad credit, you will definitely want to check out my post called Credit Report Repair. You don’t need to pay a credit repair company! I walk you through every step you need to take to legally clean up your credit report. It’s not always quick, and it pays to be tenacious, but it’s not hard to do yourself. It’s also not as widely known that bankruptcy doesn’t eliminate all outstanding debts. 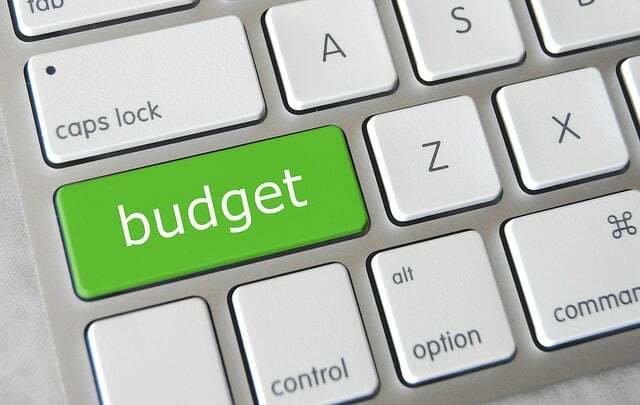 9 Best Budgeting Process Steps to use with my free excel budget template? Stop living paycheck to paycheck? So understand first why you want to change your money habits and focus on that end goal. Money fights and money problems are one of the top 3 causes of divorce and it’s SO easy to avoid that by just meeting, listening, respecting and communicating with one another about your budget and your life. If you and your spouse are struggling with money or other issues, one of my most popular posts is called Top Reasons for Divorce. It’s not too late to fix your relationship with your spouse! I know! I’ve been there too. A budget can’t just exist in your head. It needs to be on paper, on a spreadsheet or on an app. I have used my free excel budget template for 9 years. I prefer that as it’s totally customizable. The formulas do the math for me eliminating the possibility of addition errors. I can also modify throughout the month when the unexpected happens. My Excel doc lives in the cloud (I use Dropbox), thus I can access it wherever I am; even on my phone. In order for a budget to work, you have to plan in advance. You have to write it out sometime a few weeks prior to the start of the next month. This way by the time the month starts, you already know exactly where every dollar of income is going. Almost nothing happens exactly on the 1st of the month. In our house, our paychecks and bills all happen sporadically throughout the month. Therefore it’s crucial that we already know what’s happening before the month starts. It’s totally normal for one of you to be more the math nerd. That’s OK.
It’s also OK for the one spouse who isn’t the bill payer to not be AS involved in the minutia of the budget. But as I said above, it’s CRUCIAL that both of you be on the same page. You have to talk about your expenses before they happen. Both of you need to be in agreement on where your money is going. It’s vitally important that you both agree on things like spending limits, cash withdrawals, credit/debit card use, etc. Unless you’re an Uber driver or freelancer this one should be pretty easy. You know (roughly) what your paychecks are going to be the next month and what the paydays are. If your paychecks are irregular (in amount or paydate) that does make it more challenging. It is still worth doing though. One thing I would do if the amounts vary is to go with the lowest possible average amount. Look at each check for the past 6 months and average that. Then see how that amount compares to your lowest check. Estimate a paycheck somewhere in the middle of that range. I’d rather be pleasantly surprised (by a bigger check), than scrambling to figure out what to cut (due to a smaller check). If the date of your checks varies, it may make more sense to do a 2-week budget. It may also make more sense to do what businesses call accruals. In this case, you basically earmark money now for known expenses later. To avoid temptation transfer that money into a savings account so it’s not gone by the time you need it. Once you know your total income (at the top of the page) and all your normal monthly bills, it’s time to prioritize the bills and begin to subtract those out from the income. In tight financial situations, prioritizing your bills is crucial. In the event you aren’t able to pay everything, your mortgage and power bill are definitely going to take the top spot from cable and other more frivolous expenses. As you go down the list ideally at the bottom would be zero. If you find you get to the bottom and it’s negative you want to see what you can cut back on elsewhere (either permanently or one-time). You may also want to start to plan for a long-term career change to boost income. Worst case scenario, the things at the bottom of the list don’t get any money allocated at this time. One trick I have done with credit cards when I was unable to pay the minimum monthly payment is just to send them something. In theory, they can’t report you as 30+ days past due just because you paid them less (than their minimum), if you make your payments on time. Sending anything is better than nothing. They may call and harass you but you’ll soon learn to let those calls go to voicemail while you get your financial house in order. Things like oil changes, car registrations, and inspections are irregular expenses. By that I mean they don’t happen every month. So we need a system to where when that time comes we don’t panic because we haven’t budgeted it into our monthly budget. You can create events in a Google Calendar with email reminders (remember to set them more than a month ahead so you have time to work it into the budget). Or if you trust yourself to not spend it, you could set aside small chunks of money that you leave in checkings or savings account to pay for those bills when they come due. Lastly, what I use (for this and a million other things) is an online/app-based to-do list planner called GQueues. The desktop version is free and the mobile app is extremely cheap and I love it. Check out the complete details on my GQueues Review page. Whether you celebrate Christmas or Hanukkah or another late fall/early winter holiday I bet you have increase spending around that time. It’s a time of parties and gift giving and almost any household budget can get derailed quickly without a plan. In my house, we set aside about $75/month starting in January through November 1st. We put it in a special Christmas Club Savings Account at our local credit union. On Nov 1st they automatically transfer it back into our checking. See more details in one of my most popular holiday posts about why you need a Christmas Club Savings Account. Here’s my free Excel budget template! – Now that you know the budget processing steps, you need a good system!! This is the very same free excel budget template my wife and I have used for about 9 years. It’s a simple, highly customizable, Excel spreadsheet and you can download it quickly and easily FOR FREE by clicking below! Questions about the budgeting process or my free excel budget template? In this post, I reviewed my top budgeting strategies that my family has used for over 9 years. We went from upwards of $80,000 in debt to being debt free and you can too! But more importantly, I gave you access to my free Excel budget template which you can download today for a better tomorrow! Any suggestions not covered here? Feel free to comment here or email me with any questions! Still frustrated? Let me do your 1st month’s budget for you! I get the frustration of trying to do that 1st budget. Nothing balances, there are more bills than income or it’s just hard to remember who to pay on what day. I’ve been doing our budget for YEARS. I’ve seen the good budgets, the bad one and the ugly ones that make you want to bury the bills and hide your head in the sand. Let me craft your very first budget for you and take all the blood, sweat and tears out of it. Then you just take the budget I send back to you and copy and tweak for the next months. Rinse and repeat! Yes, getting started budgeting could be just that easy! Ready to get started? Submit your secure Custom Budget Order Form today! You’ll get it back within 72 business hours. Good post Jeff. I think most people don’t budget because it can be work. It doesn’t just happen. But what they fail to realize is that a small investment of time budgeting can pay off huge both in money saved and money spent – deliberately. Keep up the good work. Very good insights indeed. I think your observations are spot on. Thanks for taking the time to comment and for being here!